Strata-Caster is an online virtual art installation, created on a private island in Second Life (secondlife.com). 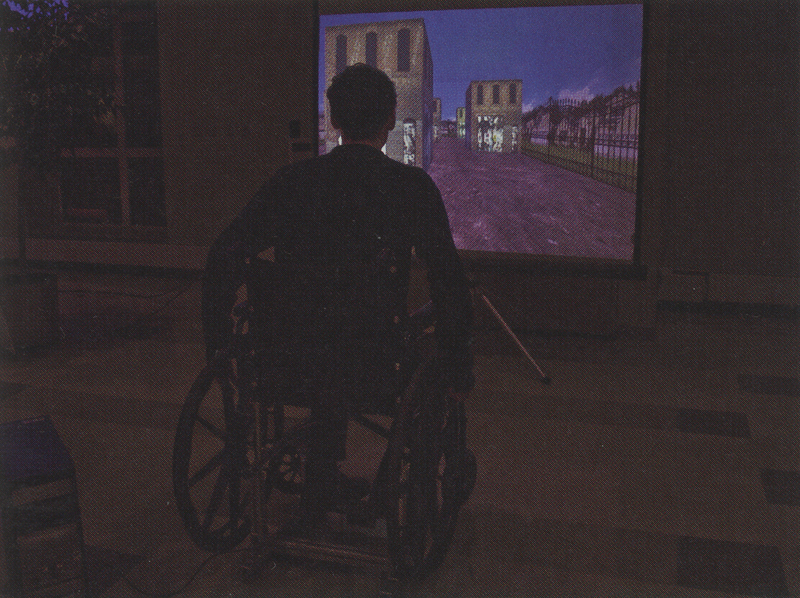 Viewers travel by way of a wheelchair, while being made acutely aware of their physical and virtual status, and are invited to re-examine this position in life in relation to all others (both physical and virtual). Scarcely a generation ago, moving image screens were restricted to television and cinema, with content almost exclusively generated by corporations and conglomerates that dictated the form and aesthetic of what should and should not be seen by the masses. Content was restricted almost entirely to news and entertainment, and limited in scope to what could be sold as a commodity. At present, technological advances have given moving image screens an explosion of new forms and possibilities with regard to content. Considering the hours we spend staring into screens, it could be argued that we are seeing an ever-greater part of our lives mediated by this device. Virtual reality has quietly emerged on this side of the screen and embedded itself into our psyches. The collective imagination is, to an ever-greater extent, being co-opted and aligned to the operational workings of this new prosthetic. It is now a critical time for artists to temper this overwhelming involvement and offer insights into this reality, complete with new paradigms of perception, new ways of seeing into-and through-the ubiquitous screen. Strata-Caster is an installation that explores the topography of power, prestige, and position. It exists in the virtual world of Second Life, a place populated by approximately 50,000 people at any given moment. Although virtual and infinite, it continues to mirror the physical world, complete with representations of prestige and exclusivity. Even without the limitations of the physical, why are borders and separation still prized so highly? 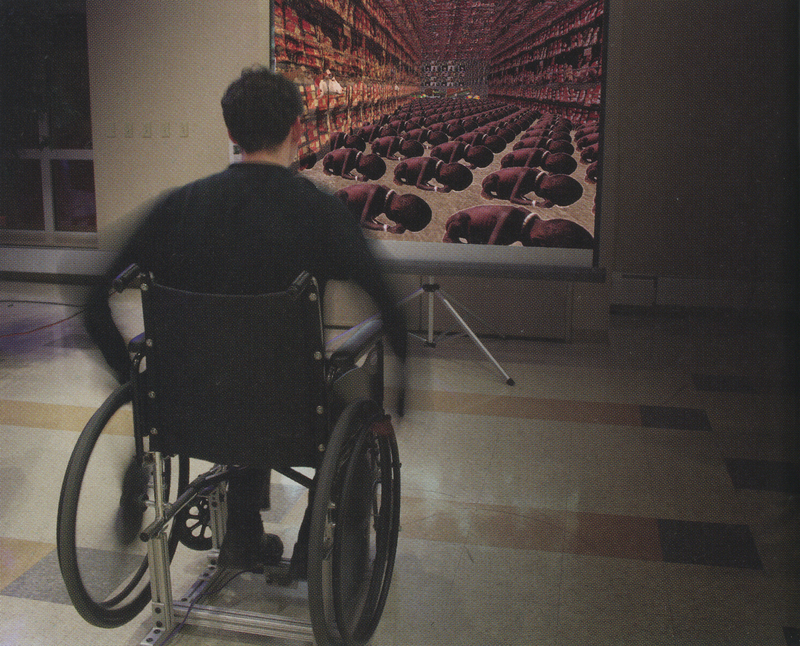 Emry into this installation is by wheelchair, an unfamiliar interface to the limitless expanse of virtual space, but one that continuously calls attention to limitation and position.